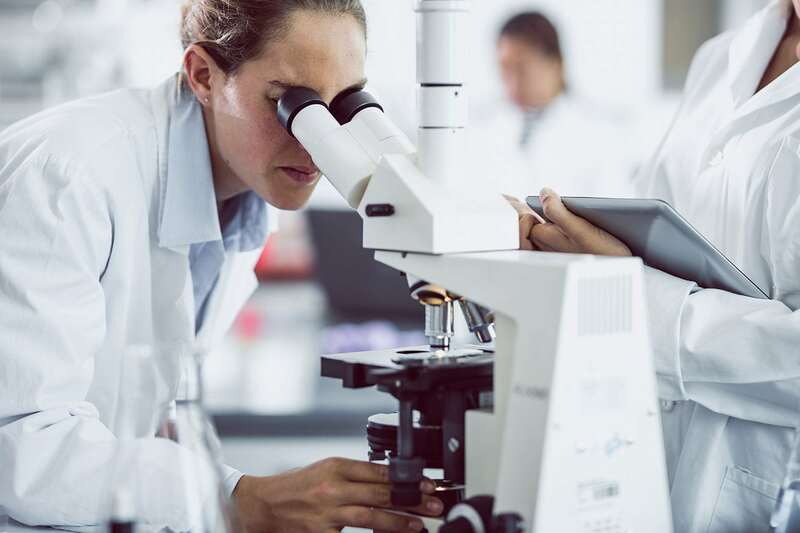 At Hackensack University Medical Center, research to improve the understanding and treatment of cancer is happening at a rapid pace—in our basic science laboratories, in our clinics through clinical trials, and through translational research efforts that link the two. Clinical trials are an option for many people with cancer and provide the earliest access to the newest and most promising cancer therapies. These studies are essential for progress to be made against cancer and have formed the basis for most cancer treatments used today. John Theurer Cancer Center at Hackensack University Medical Center has a strong program of clinical trials at every phase of development, especially Phase I studies, and teams devoted specifically to clinical research across every subspecialty of cancer. Our clinical researchers have played a critical role in the development of many of the prominent anticancer drugs used in oncology. Today, we are conducting more clinical trials than any other cancer center in New Jersey. Our physicians and nurses screen every patient for clinical trial eligibility and enroll more than 1,500 patients each year in these pivotal research studies. Through our unique collaborations with industry sponsors—including large pharmaceutical companies headquartered in New Jersey—we offer studies of novel agents that are not available elsewhere, from promising targeted therapies to immunotherapies. You can receive the latest evidence-based treatments closer to where you live and work, across the entire Hackensack University Medical Center network. Phase I studies are the first step of evaluation of a new drug in patients. Our program offers you the earliest access to promising new anticancer therapies. John Theurer Cancer Center has the highest number of early-phase clinical trials in New Jersey. Our dedicated Phase I Clinical Trials Program enables you to receive innovative therapies, including novel combinations, at the earliest stage of development. In a research partnership with investigators at Georgetown University’s Lombardi Comprehensive Cancer Center, researchers in the Cancer Prevention and Control Program at John Theurer Cancer Center, part of Hackensack University Medical Center, are conducting studies that address the challenges of reducing the burden of cancer. We have more than 350 ongoing clinical trials conducted independently and in partnership with research and pharmaceutical companies, research consortiums, patient advocacy groups, and the National Institutes of Health. Participating in a clinical trial can allow you to be among the first in the world to access potentially lifesaving therapies. Researchers in our laboratories are exploring innovative avenues of basic science investigation that may lead to enhanced understanding of the behavior of normal and cancerous cells and the identification of new prognostic and therapeutic targets. In addition to the physicians who care for you, our clinical research team includes more than 100 staff members dedicated just to the research program, including research nurses, data coordinators, research finance professionals, and other healthcare professionals. We recognize and appreciate the value of each and every patient who participates in our research studies, and we work together to ensure that your experience during your enrollment in a clinical trial is as positive and rewarding as it can be. Through our partnership with the National Cancer Institute’s Immunology branch, Georgetown University’s Lombardi Comprehensive Cancer Center, the Parker Institute for Cancer Immunotherapy, and Memorial Sloan Kettering, we are propelling advances in novel anticancer treatments, including immunotherapy and cellular therapies. Progress in the development, assessment, and FDA approval of these treatments is happening at an accelerating pace, and you may be able to benefit from these innovative therapies right here at John Theurer Cancer Center. We are using precision medicine to tailor the optimal type and sequence of treatment for each of our patients. Our clinical experience and resources will allow us to implement precision medicine in ways that benefit patients today and in the future. Translational research (“bench-to-bedside”) efforts promote the extension of new developments from basic science research laboratories to the clinic, where they may help patients. In our David Joseph Jurist Center for Research and through our affiliations with Georgetown’s Lombardi Comprehensive Cancer Center and the Stevens Institute of Technology in New Jersey, we are dedicated to translational research. Our scientists are studying epigenetic factors that affect various cancers, novel approaches to improve outcomes following hematopoietic stem cell transplantation, and how immunotherapy can be influenced by immune cells and the microbiome. We are also opening a comprehensive translational science center and a new medical school in collaboration with Seton Hall University, in Nutley, New Jersey, at the former location of Hoffmann-La Roche. COTA (Cancer Outcomes Tracking and Analysis) is an initiative using “big data” to identify the best way to treat patients with similar disease characteristics. By precisely classifying our patients at the time of diagnosis and by implementing real-time analytical methods to interpret the data we collect, we are empowering cancer professionals with high-quality research data, creating alternative healthcare payment models, creating national benchmarks for patient outcomes, accelerating drug discovery and approval, and helping patients make informed decisions about their own care. COTA has the power to improve clinical outcomes for each patient. By optimizing treatment decision-making, we can also reduce cancer care costs along the way. A child with a primary immune deficiency has an immune system that does not work at all, or does not work well, usually due to a hereditary or genetic defect. When that happens, the child will have a reduced ability to resist or get rid of an infectious disease. Translational research by definition brings knowledge from bench to bedside to offer as early as possible advanced options in difficult to treat cancers. This includes a strong dedication from John Theurer Cancer Center to customize treatment through precision medicine. The Lymphoma Division at John Theurer Cancer Center involves a comprehensive team of professionals who are dedicated to treating patients with lymphoma (cancer of the immune system), which includes Hodgkin’s disease, Non-Hodgkin’s lymphoma and Chronic Lymphocytic Leukemia.